Brazil has a busy few years ahead of it, what with hosting the FIFA football World Cup in 2014 and the Olympic Games in 2016. These international sporting events have put the country firmly in the sights of a growing number of travellers – if you’re one of them, we’re going to tell you about some of Brazil’s top attractions. You can’t visit Brazil and not spend time in what’s arguably its most famous city, Rio de Janeiro. This vibrant, thriving metropolis is backed by mountains – most notably Sugarloaf Mountain, itself a major attraction that can be accessed by cable car – and fringed by glorious sandy beaches. Among the must-dos in Rio are spending a day on one of its beaches – Ipanema and Copacabana are two of the best known – and visiting Corcovado Mountain to see the statue of Christ the Redeemer close-up. Salvador is another of Brazil’s cities that’s well worth a visit, as it boasts a long and fascinating history. It was first founded in 1549 and was the capital of the country during the height of the slave trade. The Museu Afro-Brasileiro gives an excellent overview of this period of its past, as well as its subsequent development. 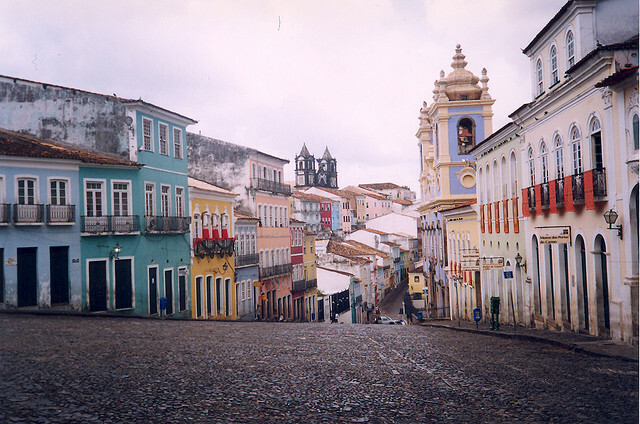 What really stands out about Salvador is its striking colonial architecture and wonderfully colourful buildings. There are old churches nestled on cobbled streets that in turn lead into large piazzas. The African influence from the days of the slave trade can be clearly seen here in the music, cuisine and customs of the people – a fantastically eclectic blend of cultures. Undoubtedly one of Brazil’s most amazing natural wonders, the Iguazu Falls on the border with Argentina are certainly a must-visit. Spanning almost 3 km and dropping for 80 m, the torrent of water that cascades over the falls is breathtaking and thunderous. The rainforest that surrounds the waterfalls only serves to make it more beautiful. There’s a continuous cloud of spray emanating from the falls and in among the rapids and torrents of the river are forested islands that stand out as little oases of green in the tumult of white water. Brazil has the largest share of the Amazon Rainforest – some 60 per cent – and it’s one of the country’s most famous tourist attractions. A trip deep into the rainforest is an experience you’ll never forget, with numerous opportunities for exploration and discovery. You can’t miss the chance to go on a trek with an experienced guide – there’s no better way to get a real feel of the atmosphere in the forest and to get close to some of the region’s inhabitants. Howler monkeys, sloths and jaguars live in the trees; tapirs, anteaters and armadillos move around the forest floor; giant otters, piranhas and pink dolphins can be spotted around the river itself; and toucans, colourful macaws and harpy eagles glide through the sky. These are just a handful of the creatures you may come across when you spend time in the rainforest. Another fantastic thing to do while you’re in the Amazon is to go on a night safari along the river. In your torchlight you’ll see the red eyes of caimans hiding in the water and may be lucky enough to catch a glimpse of some of the region’s other nocturnal animals. If this has sparked your interest in taking a trip to Brazil, check out the tours available here for more ideas about how to make your adventurous break even more special.